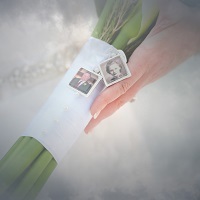 Would you like to add your own something special to your Bridal Bouquet? Provide your keepsake to your Wedding Coordinator at your Rehearsal and your Floral Designer will attach it to your bouquet. *This is a free service and does NOT include the keepsake itself.